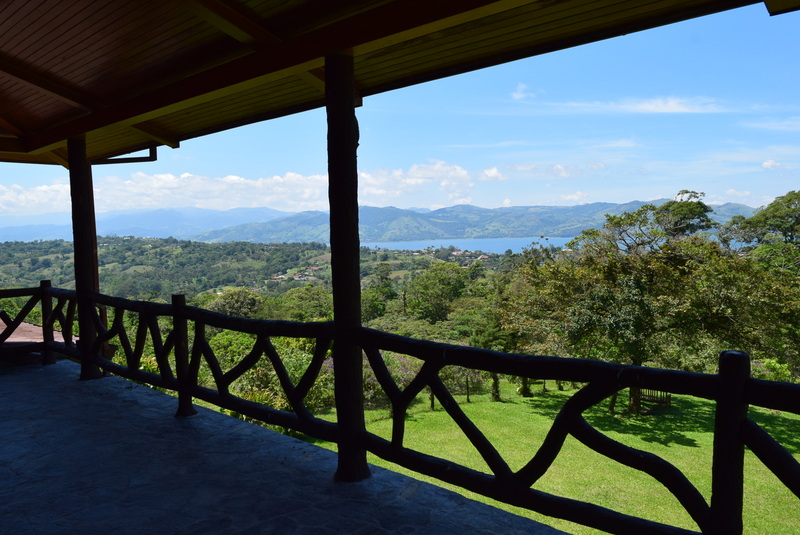 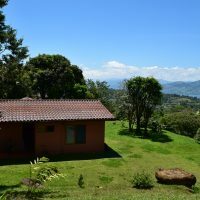 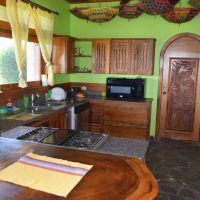 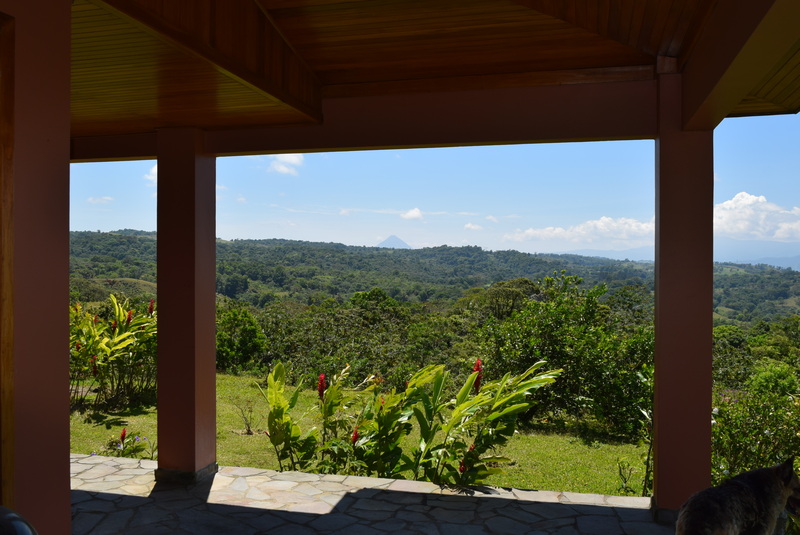 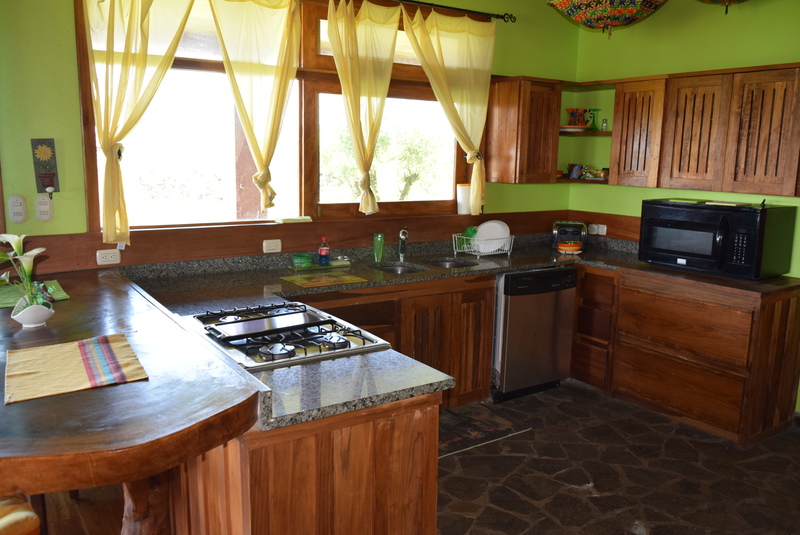 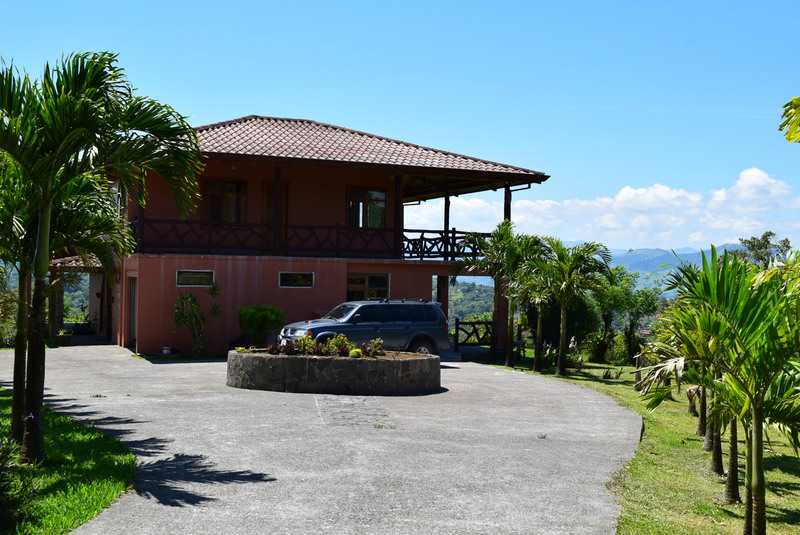 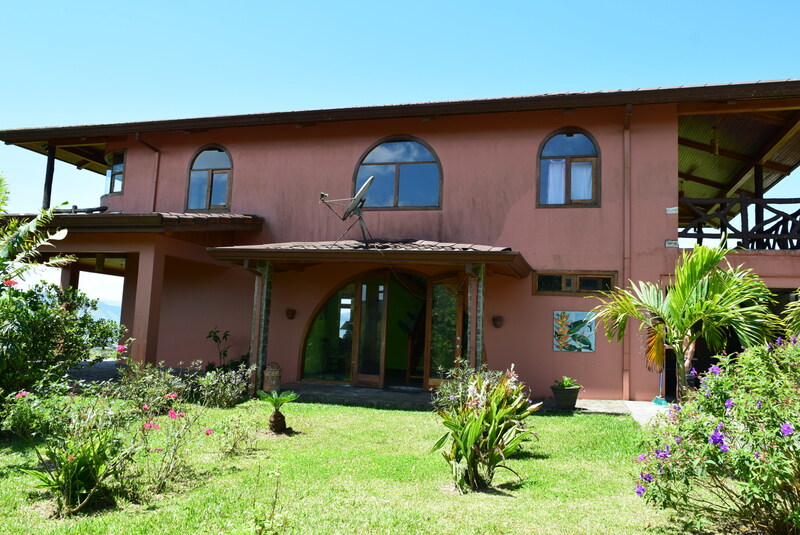 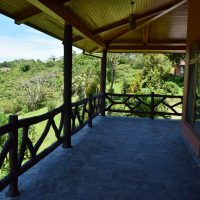 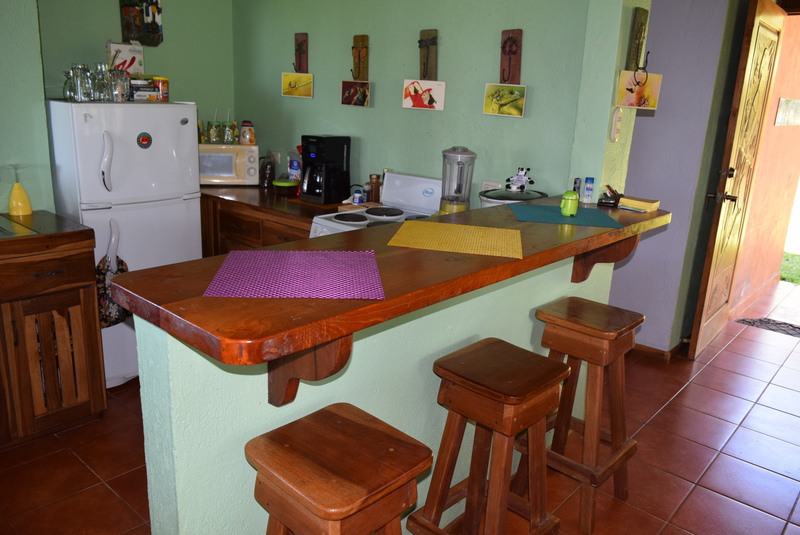 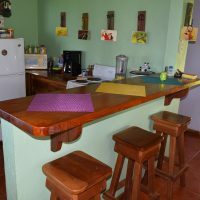 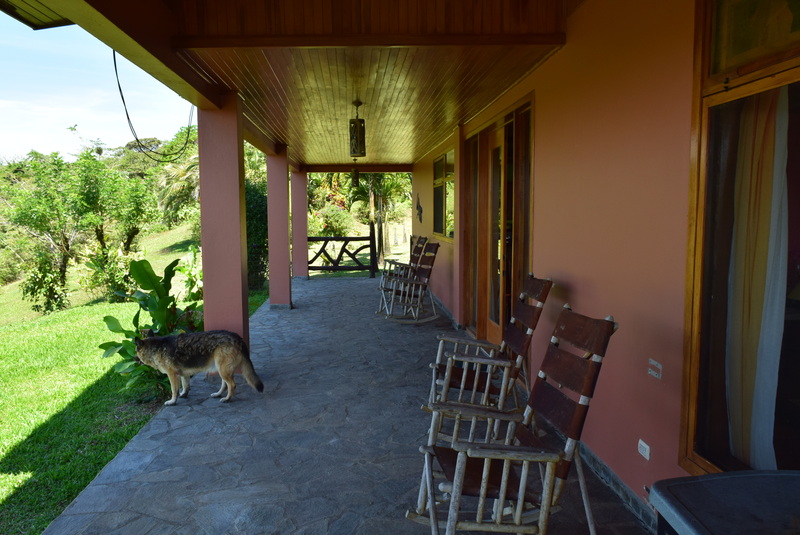 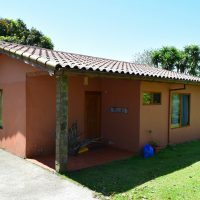 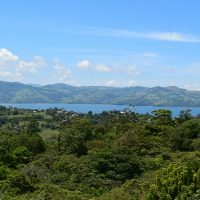 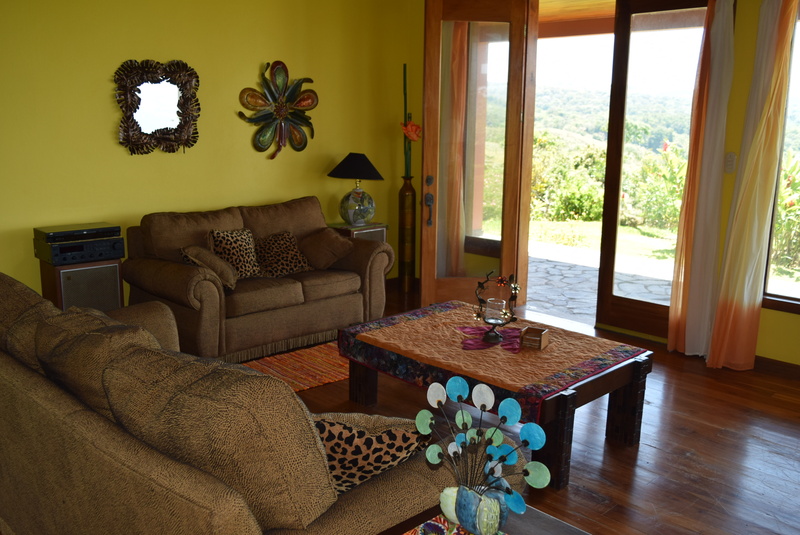 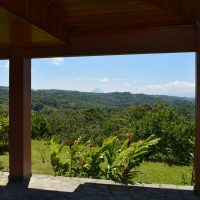 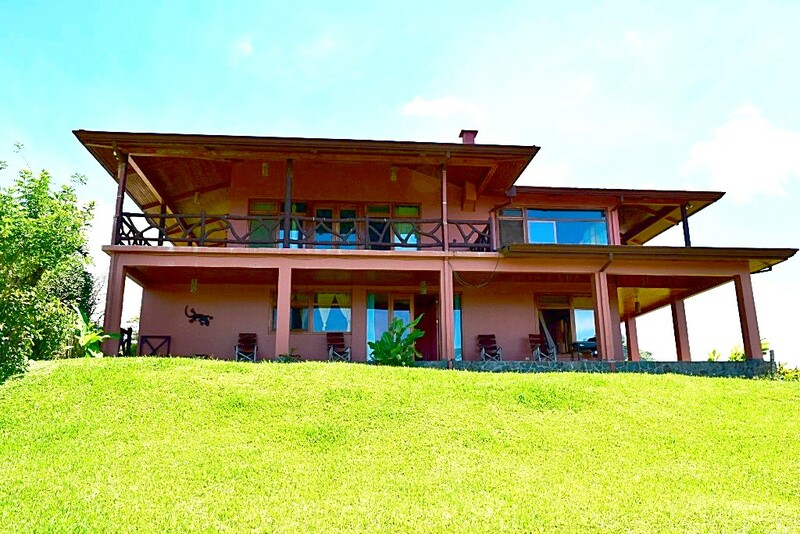 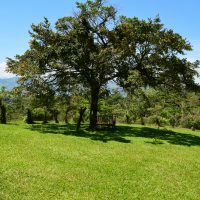 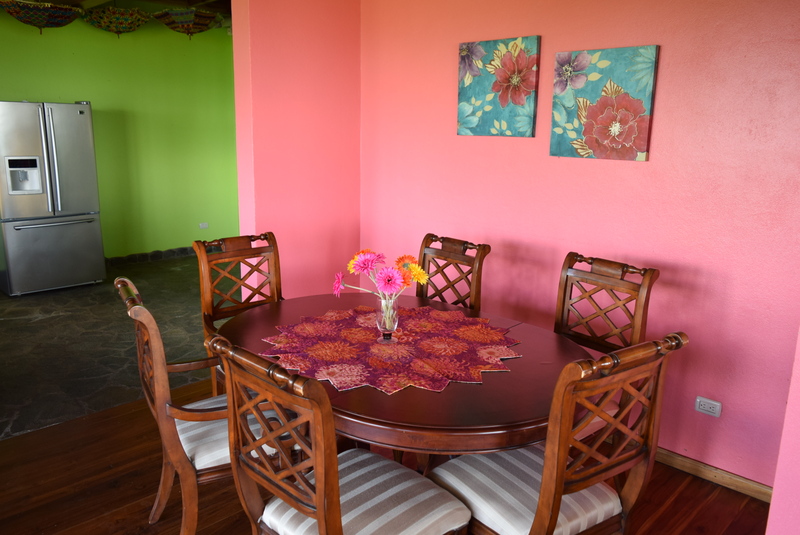 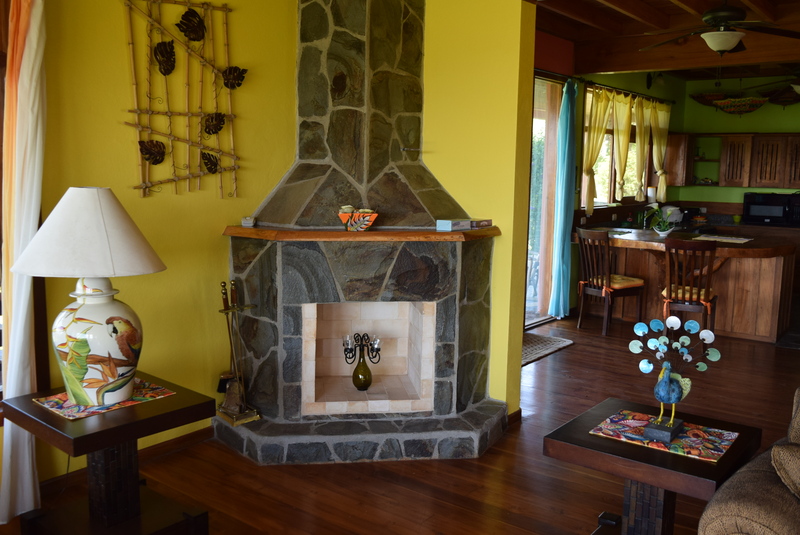 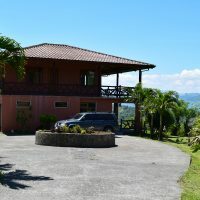 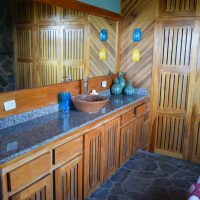 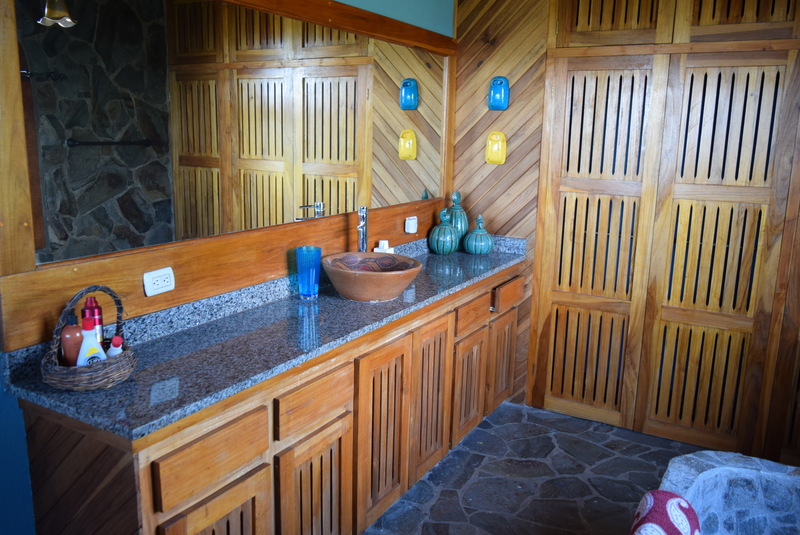 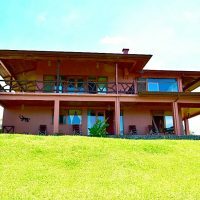 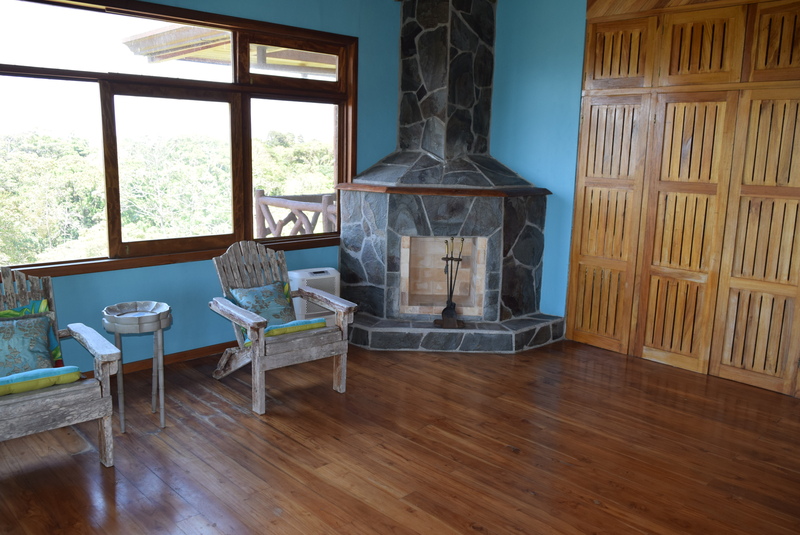 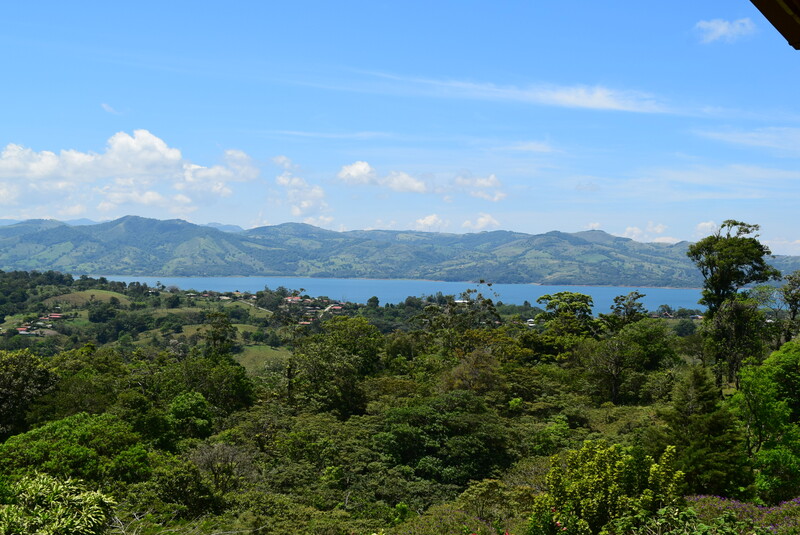 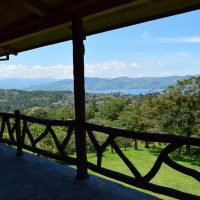 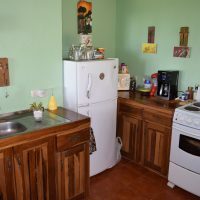 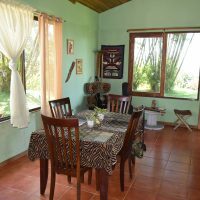 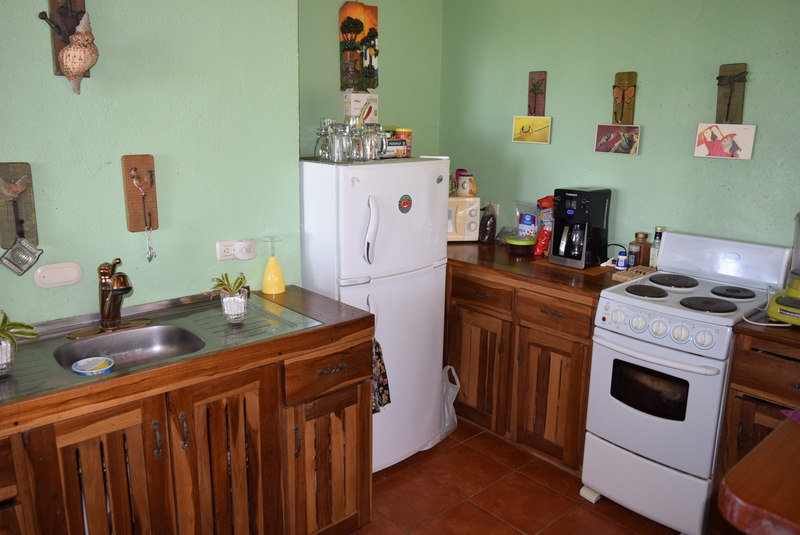 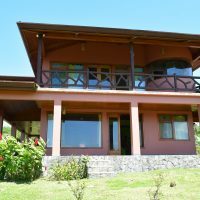 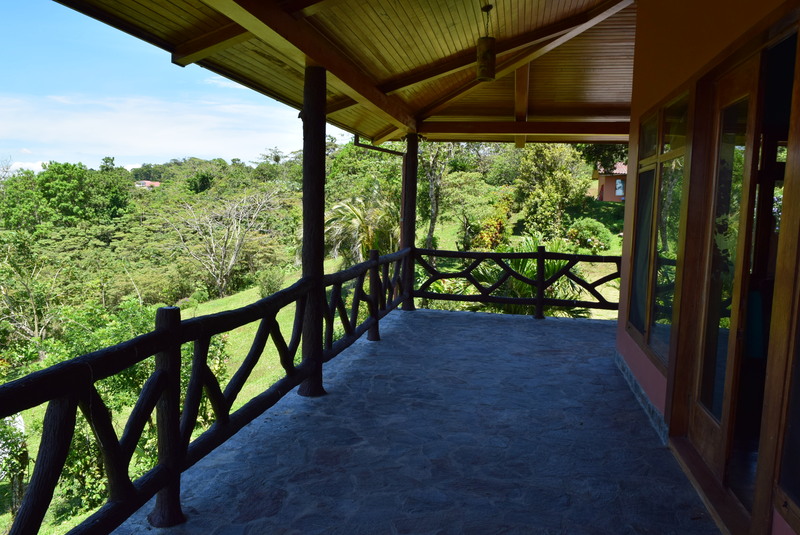 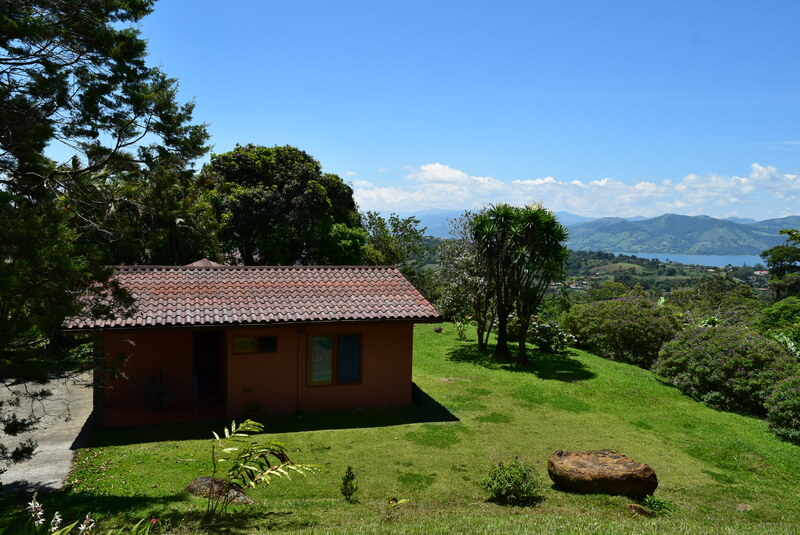 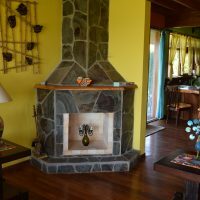 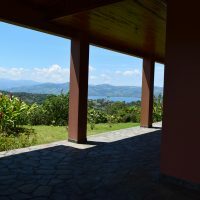 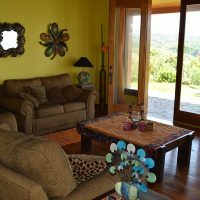 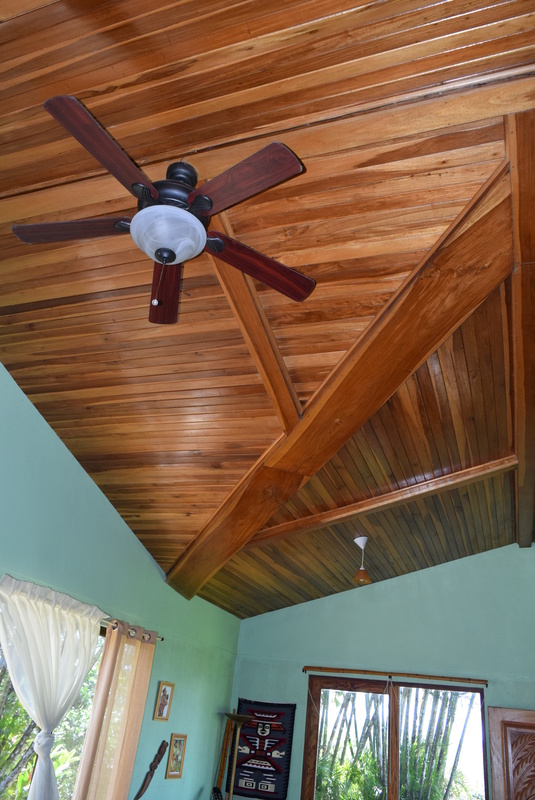 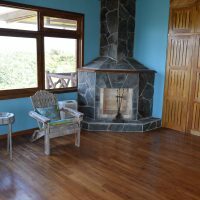 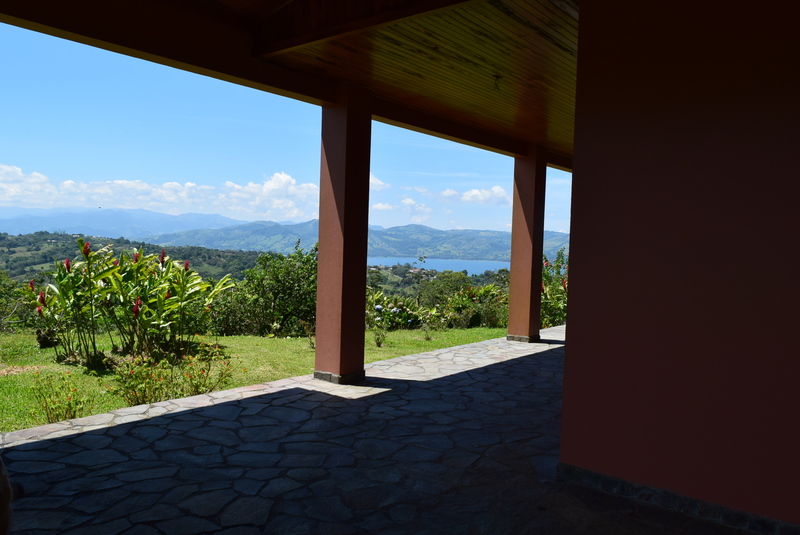 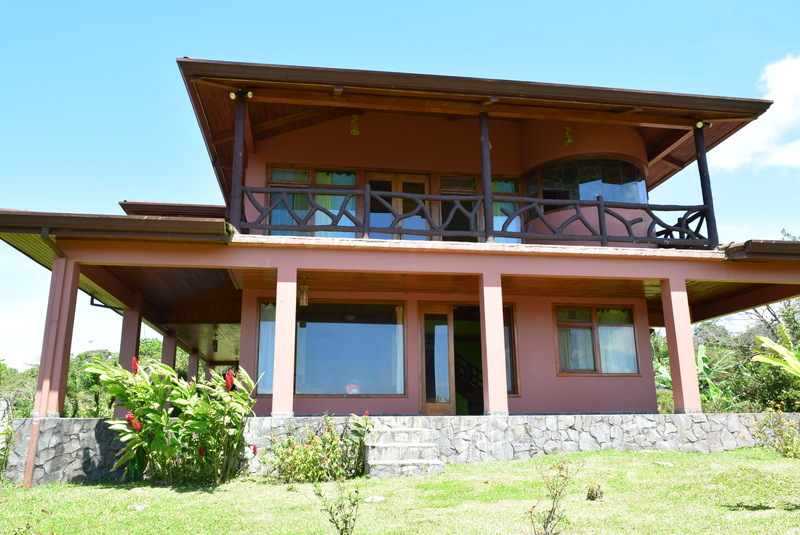 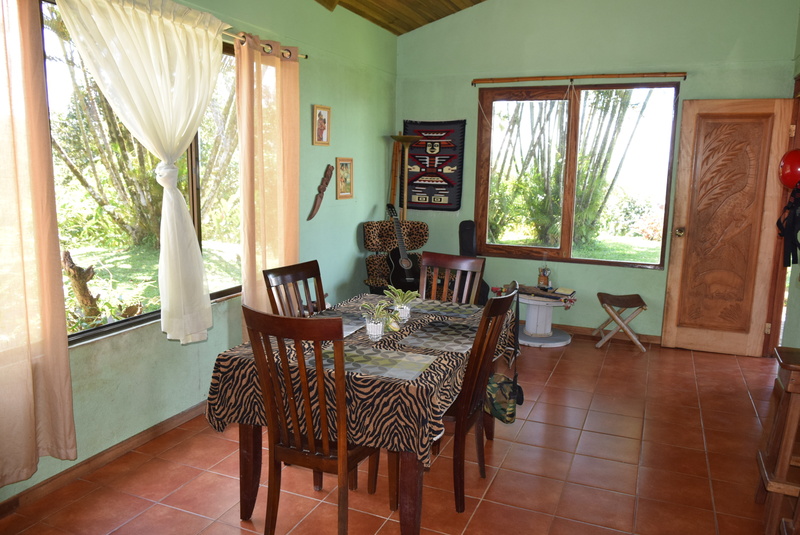 This mountain finca is located in a very peaceful and picturesque countryside location, yet being only 8 minutes drive away from a popular retirement/relocation town called Nuevo Arenal, overlooking beautiful Lake Arenal, same as the perfect cone of Arenal volcano. 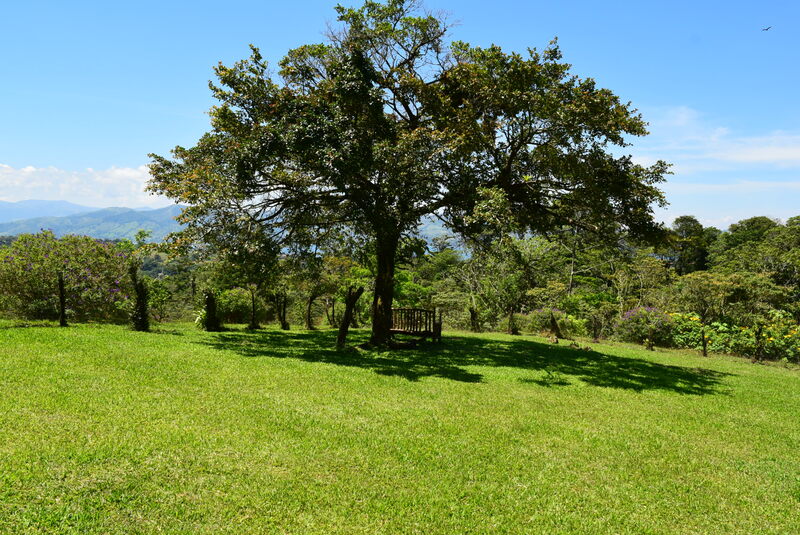 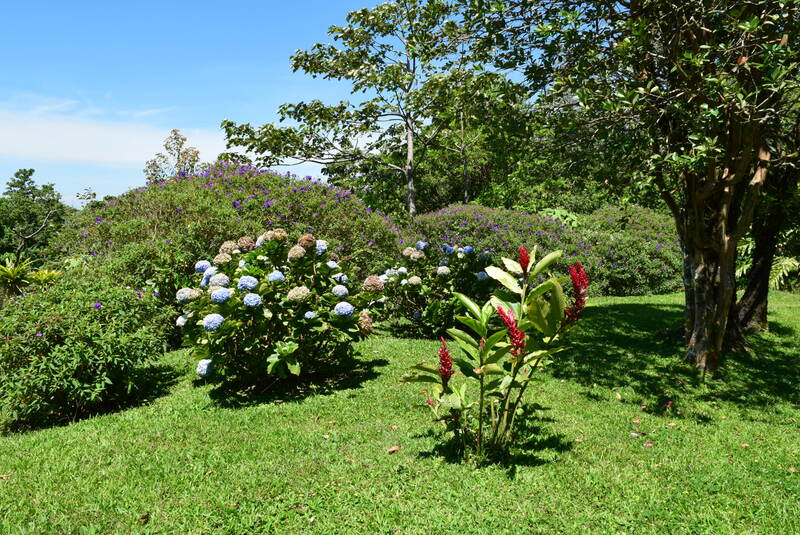 Over 8 acres of tropically landscaped land accommodating two houses. 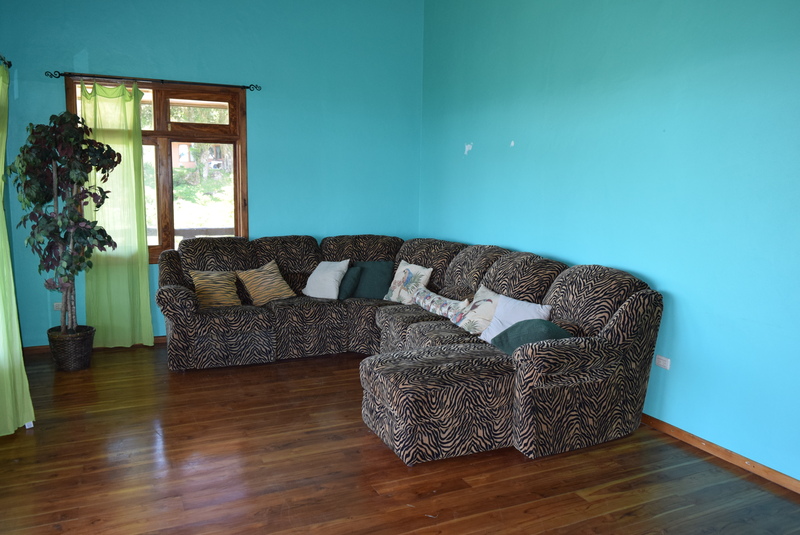 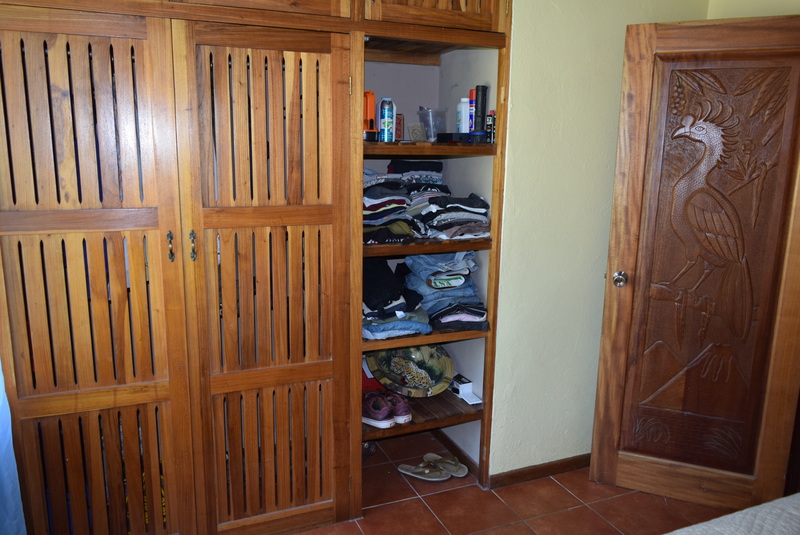 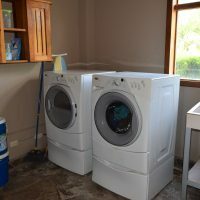 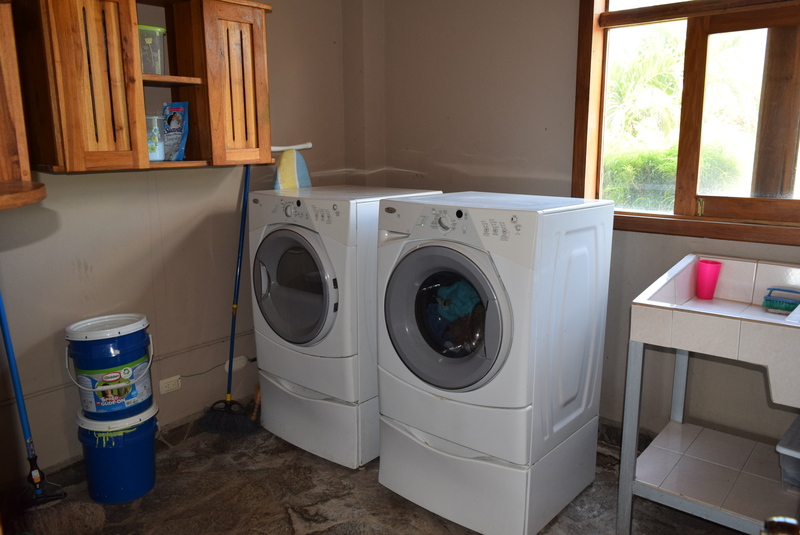 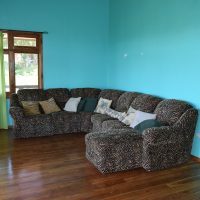 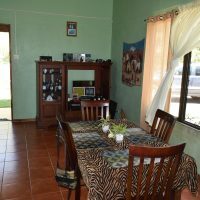 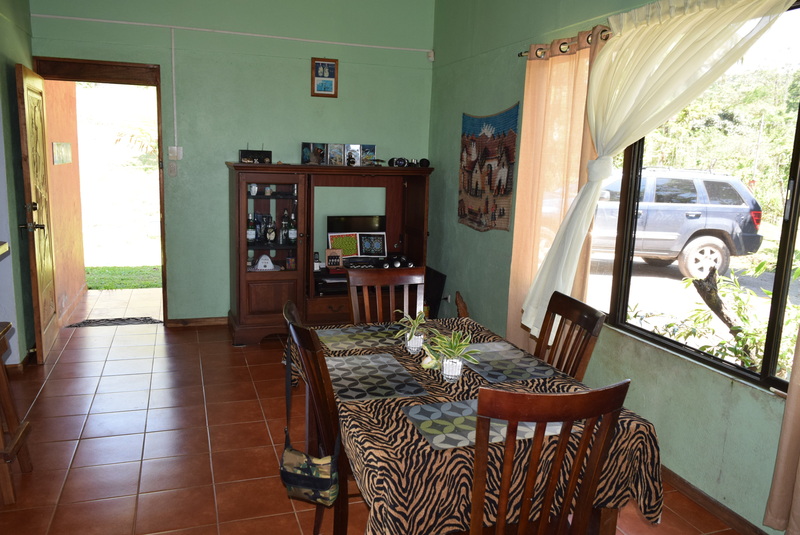 The main house has four bedrooms and three bathrooms, nicely appointed living room, dining area, spacious and elegant country style kitchen, same as spacious laundry area and a garage (which could be easily converted to another bedroom). 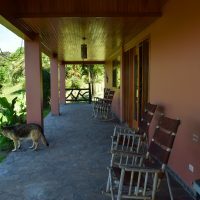 There is a huge veranda on two sides and both levels of the house. 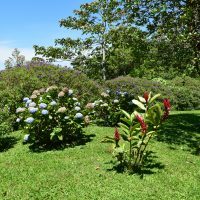 Tropically landscaped grounds are gorgeous, featuring meany blooming flowers, bushes and fruit trees, attracting many colorful birds, monkeys and other wildlife. 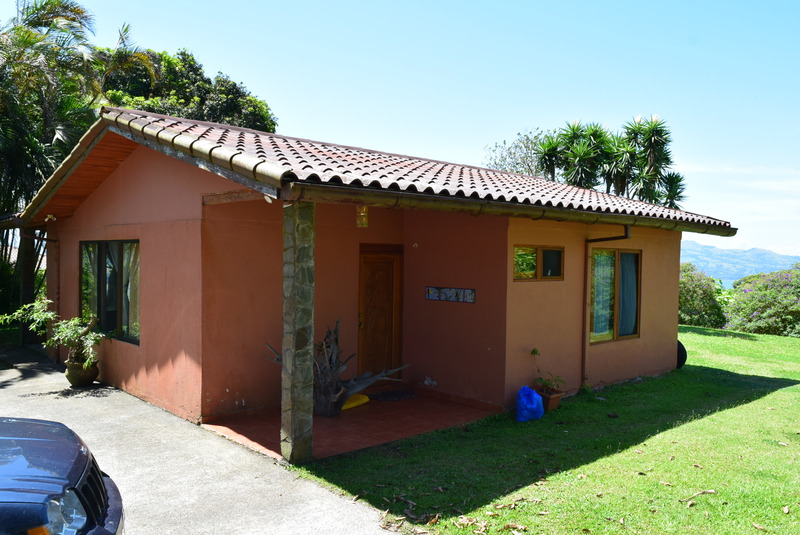 The guest house isn’t a typical Tico house keeper’s structure, but a real solid masonry home in a smaller package. 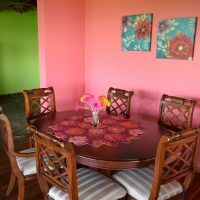 There are two bedrooms, one bathroom, nice kitchen opened into living/dining area, same as a good size veranda inviting for outdoor living. 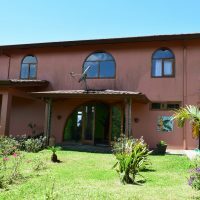 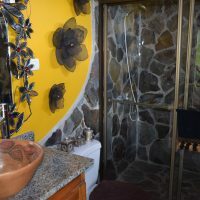 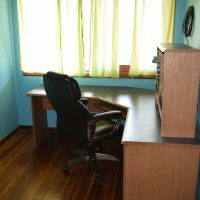 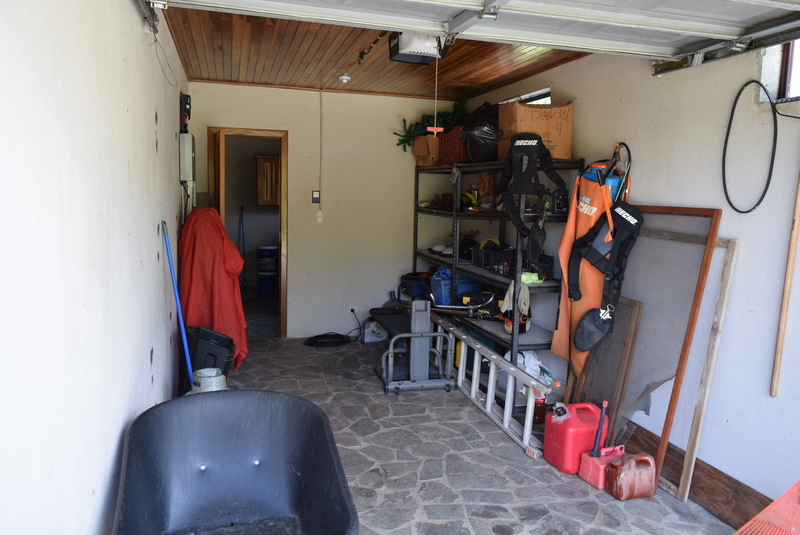 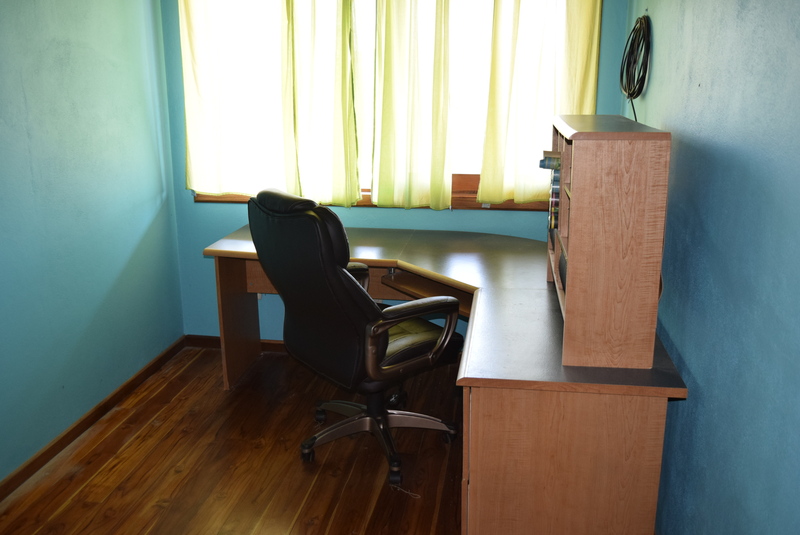 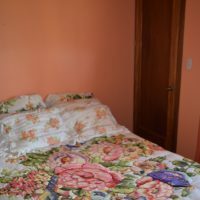 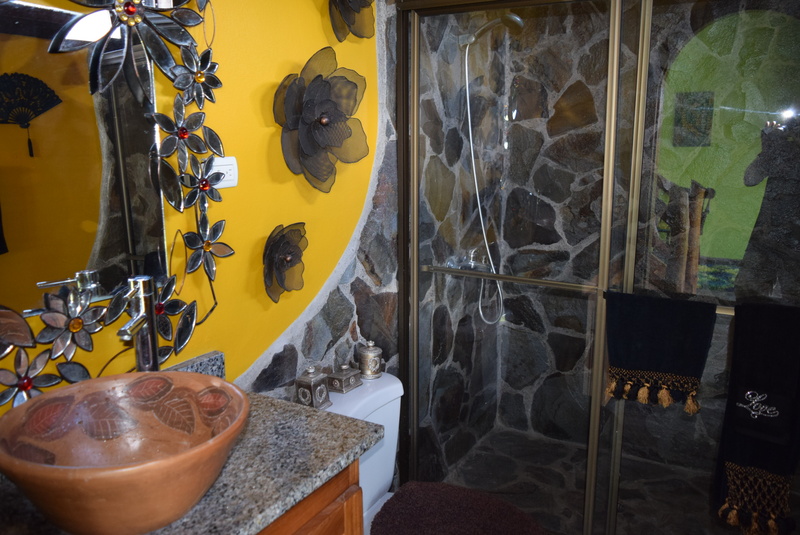 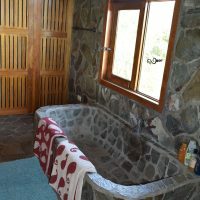 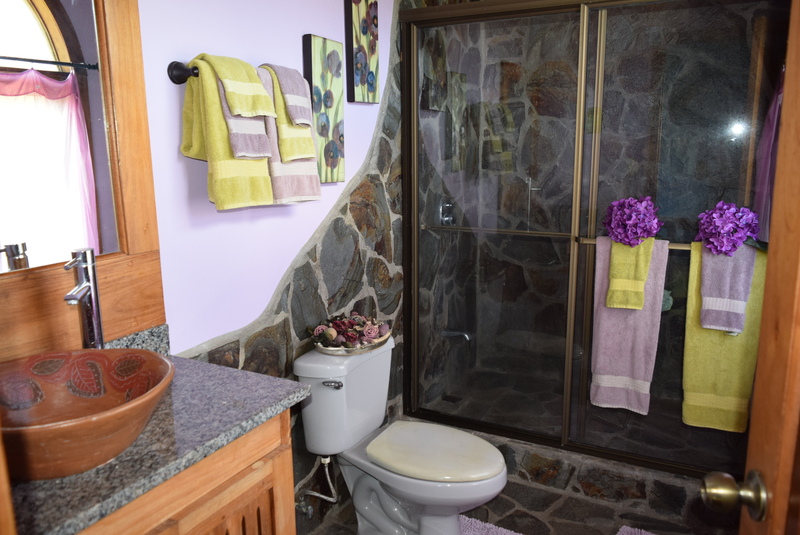 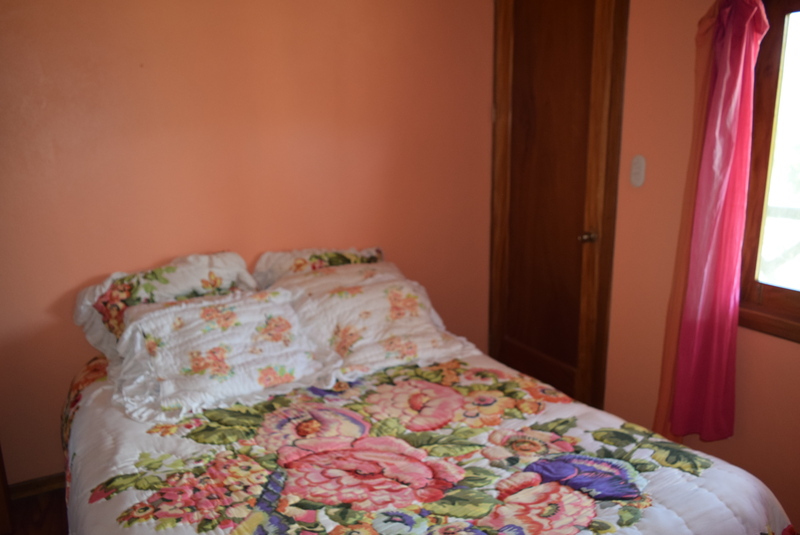 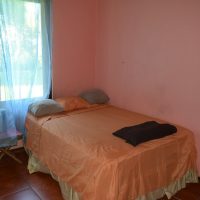 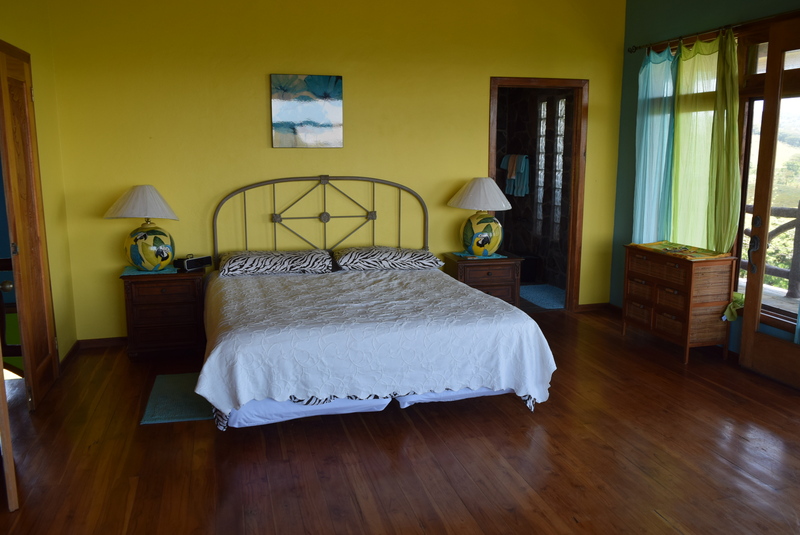 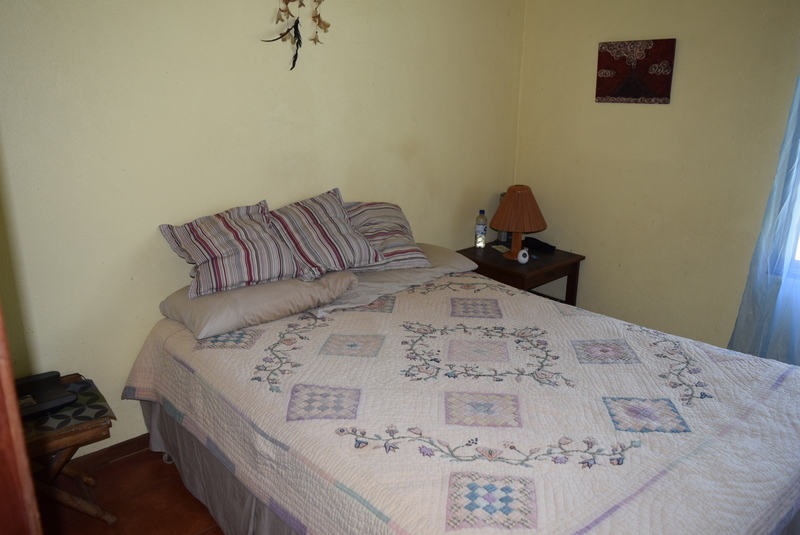 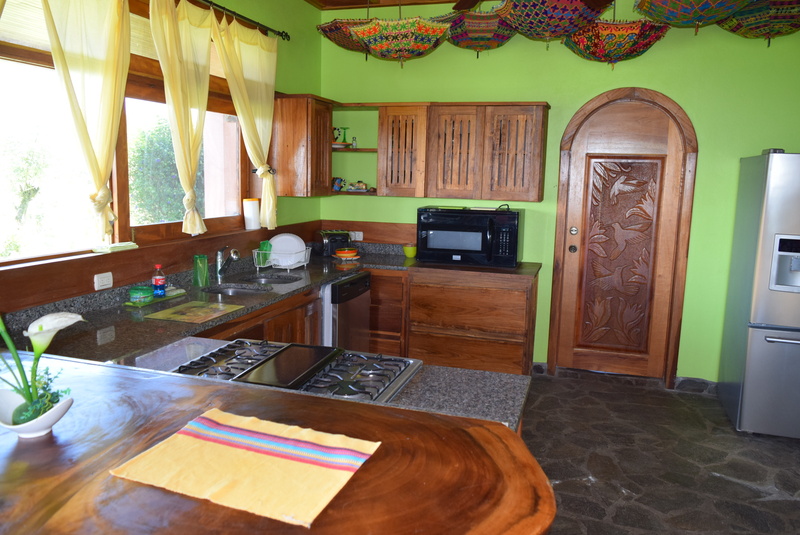 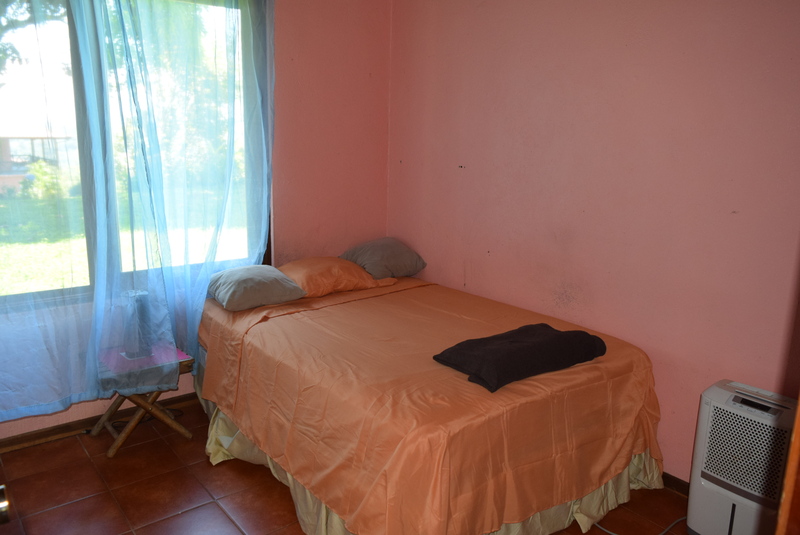 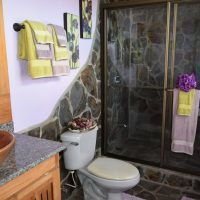 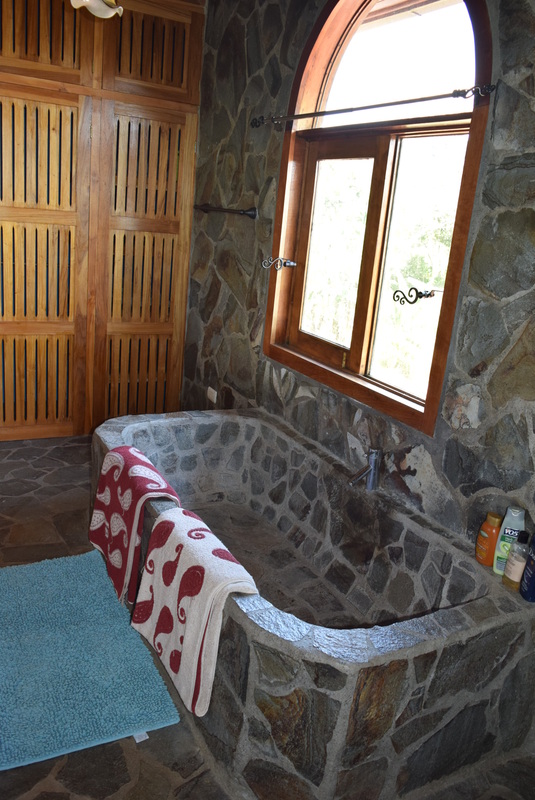 This property can be used as a private residence, or can be easily converted to a Bed & Breakfast, wellness center or similar. 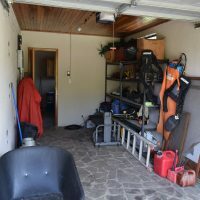 Explanation will be sent to your email. 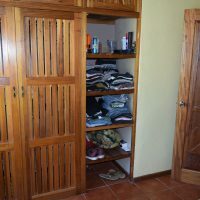 Would like to see this as well when I come in aug 15. 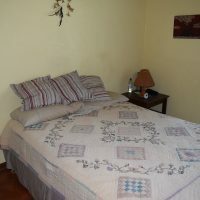 More than I want, need can afford without partner but still worth looking at. 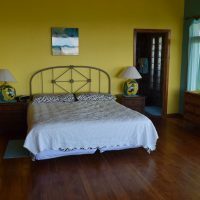 Please explain financing and ownership if I am a non resident or become a retired resident. 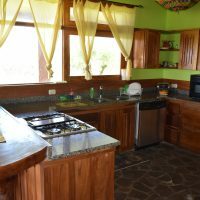 Looking at that process as we speak. Yes, we’ll be happy to show you on Aug15. 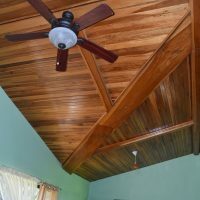 If a seller is providing financing, it is private financing for which doesn’t matter if you are resident or not.